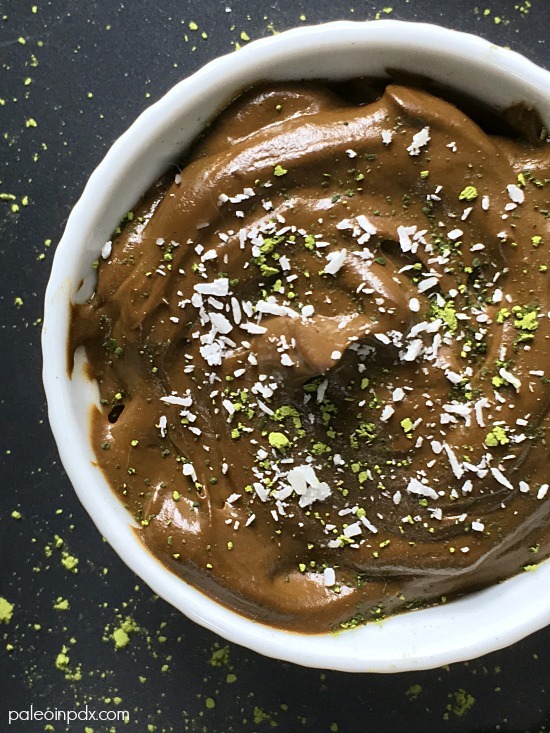 Chocolate avocado pudding is creamy, delicious, and whips together in a pinch, but surprisingly, not something I make very often. Honestly, I don’t even remember the last time I made it — I just know it’s been a long time. But, I had a leftover ripe avocado in my fridge after my KATU Afternoon Live segment the other day and got to thinking about how I wanted to use it (other than the obvious fact that it tastes amazing on top of everything). 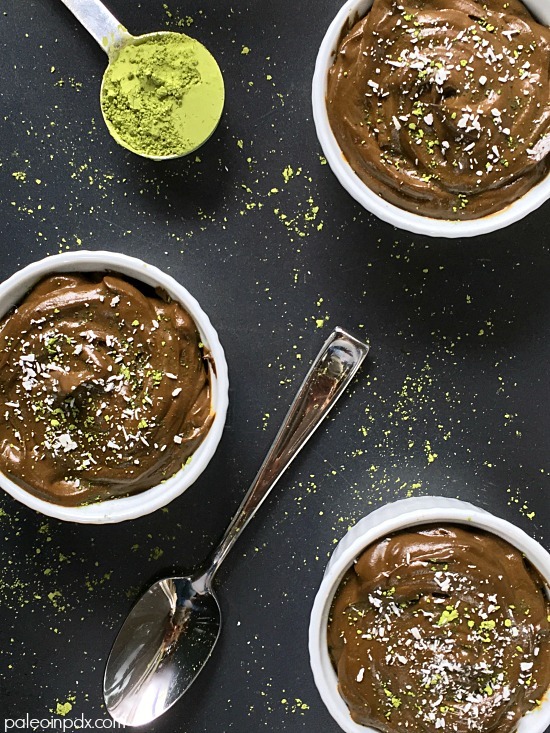 Somehow, chocolate matcha avocado pudding came to me and fortunately, I only needed one more avocado to make this recipe work. Everything else was already in my kitchen. I’ve really taken a liking to matcha and love how it can be incorporated into treats as well. It tastes lovely with coconut and chocolate, so I figured it would take chocolate avocado pudding to the next level. And, I think it did. At the very least, it’s a nice way to mix things up a little! If matcha is not your thing, it can easily be omitted from this recipe. Also, the great thing about this pudding is that while you’re making it, you can taste along the way. If you’re not sure about the matcha, start with one teaspoon and work your way up from there. Everything can easily be adjusted to your preference, so use this recipe as a baseline. Also, know that the matcha is not over-powering, bitter or strong, but adds a delicate grassy, green tea flavor. It’s magnificent! Chopped almonds, cashews, pistachios, pumpkin seeds, etc. Place all ingredients in a food processor or high-powered blender and blend until smooth, scraping down the sides with a spatula as needed. Taste and adjust flavor to your liking. Serve as is or with any of the optional toppings. Store any leftovers in the refrigerator and eat within a few days.